Choosing a stroller takes careful thought and consideration — after all, your baby’s safety while you’re out and about is important. Whether out shopping for groceries, walking through the park, or heading downtown, the right stroller helps you tackle your daily routine with baby safely along for the ride. 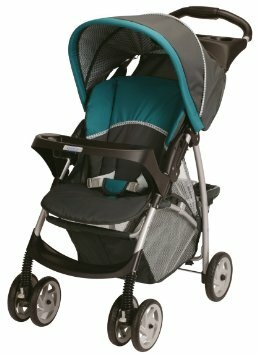 What stroller is best for you? With so many types and features to choose from, ask yourself the basics first: How old is your baby? Who will be pushing it? How often will it be used? What price range is doable? Today, there’s a stroller to fit every lifestyle, and we break it down so you can make an easier, informed decision. Whether you need the crème de la crème of luxury strollers or something more affordable and basic, these are the best baby strollers of 2016. The GB Pockit holds the World Record for smallest-folding stroller in the entire world. 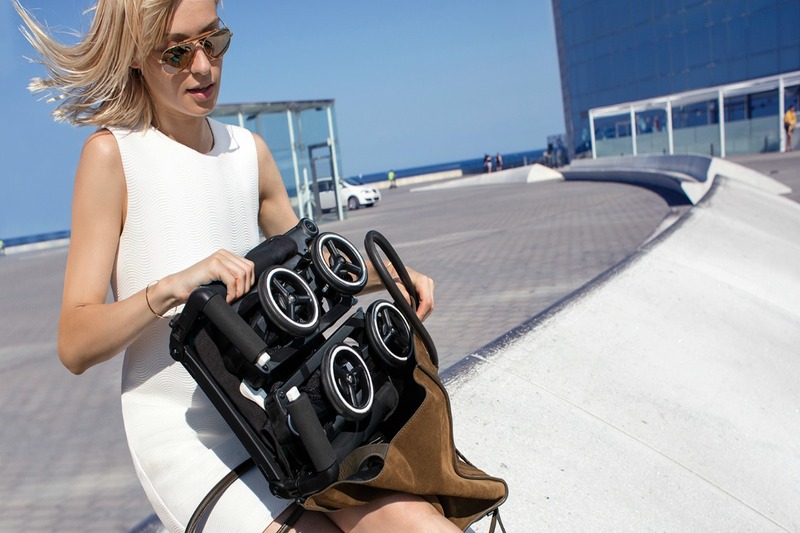 This awesome travel stroller folds up so compactly and easily, it’s a breeze to travel with. The canopy is almost non-existent, but the basket and seat are both quite roomy. From the makers of the longboard stroller comes the super light Yezz. 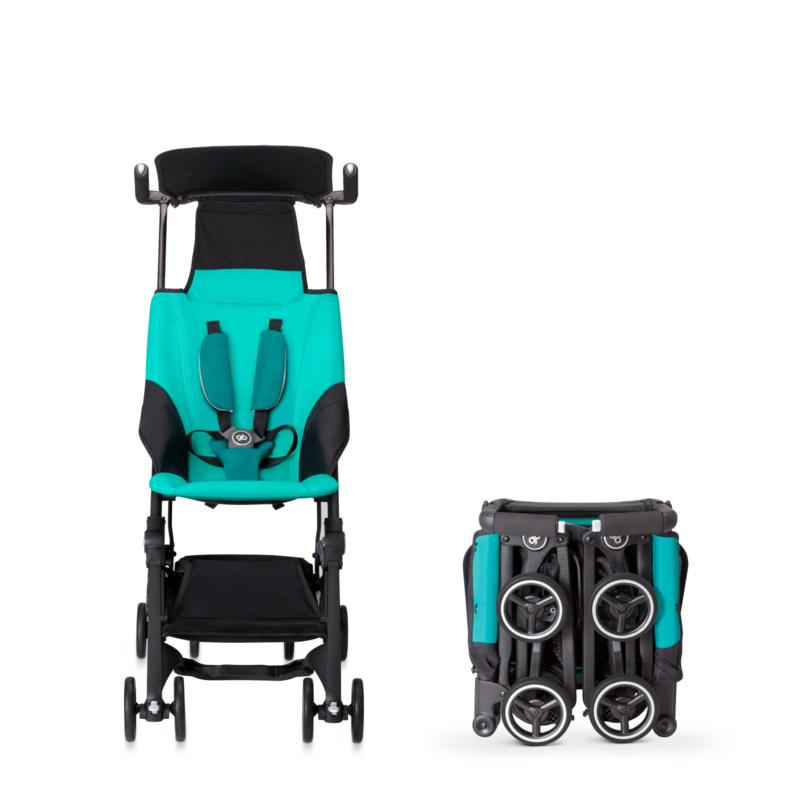 A top pick for travel, the Yezz delivers with features like being easy to push, turn, fold, stand, carry, and store. The Summer Infant 3D Lite umbrella stroller is easy to fold and stow and is surprisingly sturdy for something so lightweight (12 pounds). It has anti-shock front wheels and lockable rear wheels for easy maneuverability and stability, along with a five-point harness to keep baby safely strapped in. Available in a variety of colors, you’re bound to find something that suits your mommy style! With a one-handed recline and a seat that lays nearly flat, the TAVO works for newborns up to kids 50 lbs. It also converts seamlessly into a travel system with the Nuna PIPA car seat that clicks directly onto the bumper bar – no additional adapter needed. It has smooth maneuvering, large, easy-access basket and the large canopy that has an added zip-out “dream drape” extension that covers nearly to the bumper bar. Plus the stroller has a simple one-handed fold and an auto-locking frame so you won’t have to wrestle the stroller to get it closed. Half shopping cart, half stroller, the Austlen is perfect for the family that doesn’t travel lightly. The extra large space behind the baby can work in a bunch of different configurations, like one that allows you to lug the family luggage around the airport – clever! 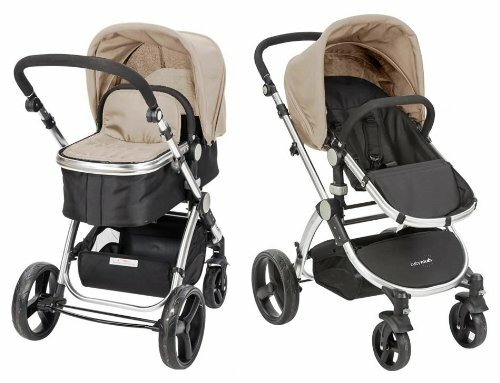 The latest stroller from Britax includes a more upright seat, updated wheels, a larger, easier to access under seat basket, and a new design for the footrest. What hasn’t changed is the easy maneuvering, one-handed fold, and all-wheel suspension for a smooth ride. Paired with the B-Safe 35 car seat or the B-Safe 35 Elite car seat (more expensive, but offers an extra layer of side impact protection and a quick-adjust head protection), your newborn will be safe, secure and ready to explore. 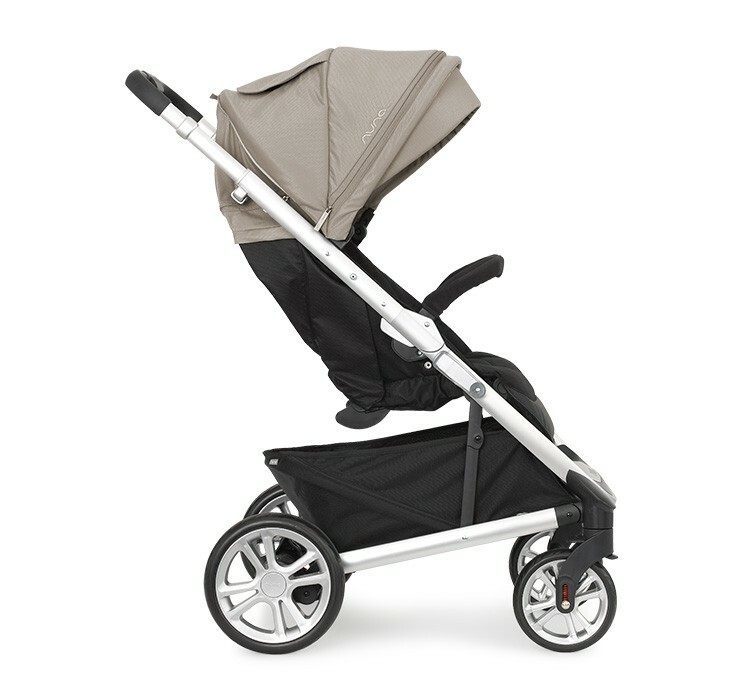 A side-by-side version of Uppababy’s G-Luxe stroller, the G-Link has a lot to offer. 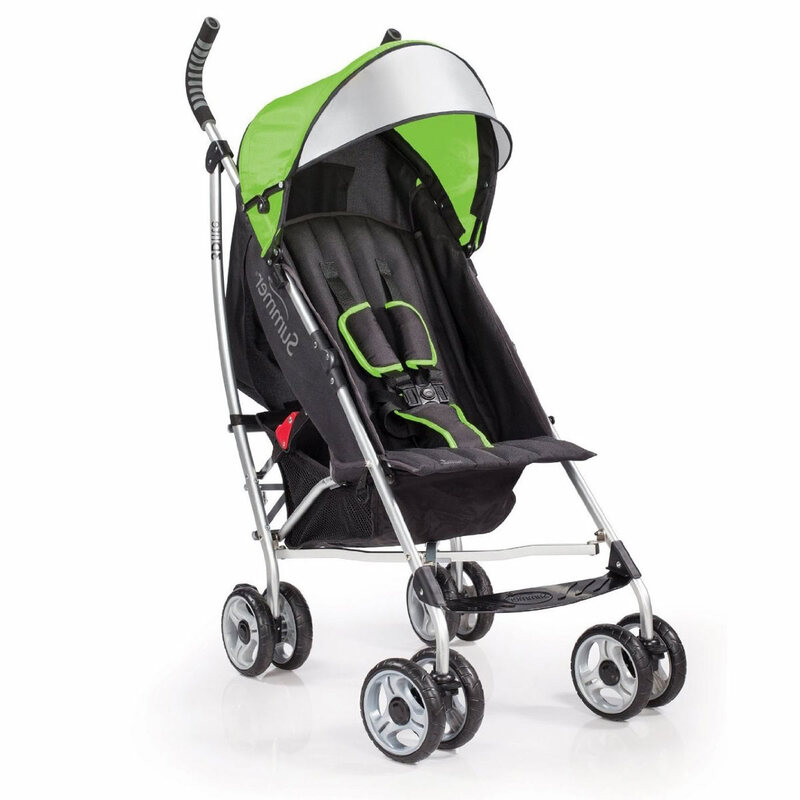 With a flat recline and a detachable mesh foot barrier, the stroller is suitable for babies up to kids 50 lbs. (per seat), it has an easy one-handed recline with four positions, and decent sized canopy with a view window and extendable sunshade for even more coverage. Parents will love that the closing mechanism is at hand-level (no feet or bending down! 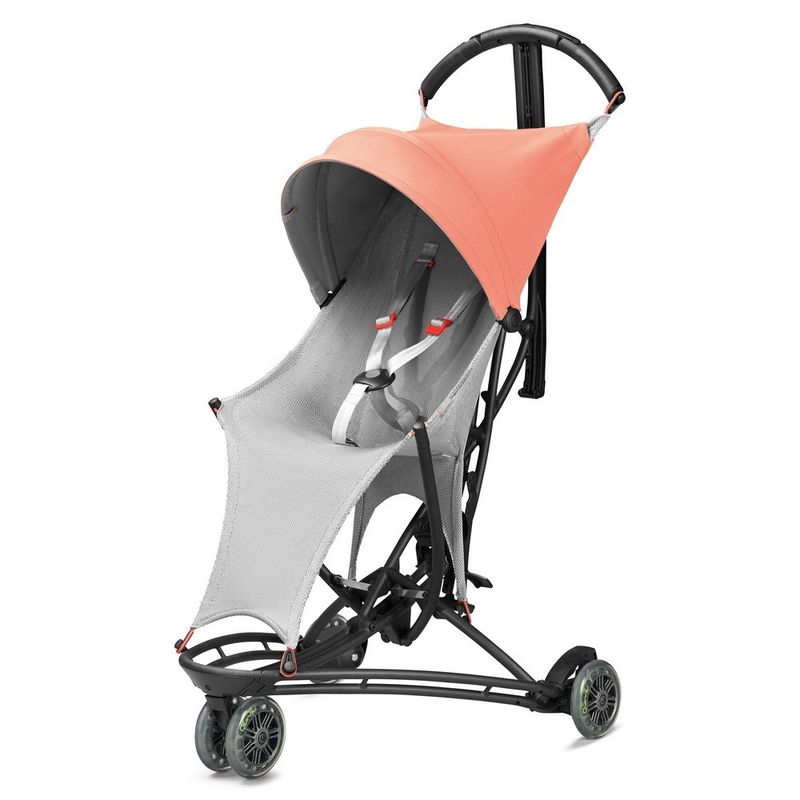 ), the stroller stands when folded, and that the stroller has an included cup holder which can attach on the middle of the frame. 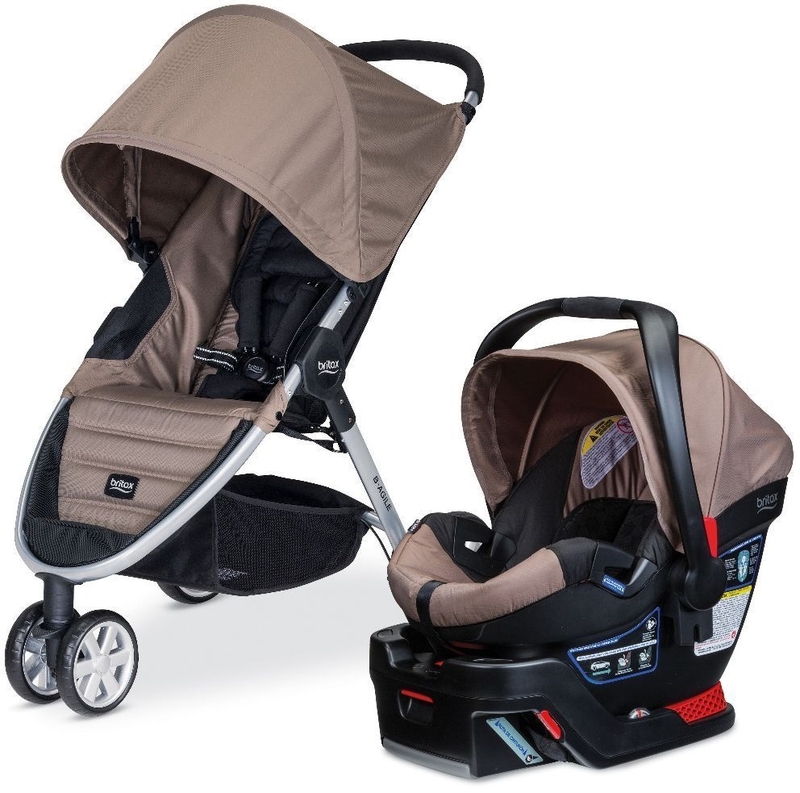 The Graco LiteRider Click Connect Stroller not only has a padded head guard for infants who are not able to sit up on their own, it is compatible with the Graco Click Connect car seat so it eliminates all of the hassle of going from car to stroller with a new baby. That doesn’t mean this is just for newborns. This stroller is great for babies and toddlers alike, and even the older riders will enjoy the padded headrest for extra comfort on the ride. If you’re in the market of luxury strollers, this is a more budget-friendly option since it includes the bassinet in the package. 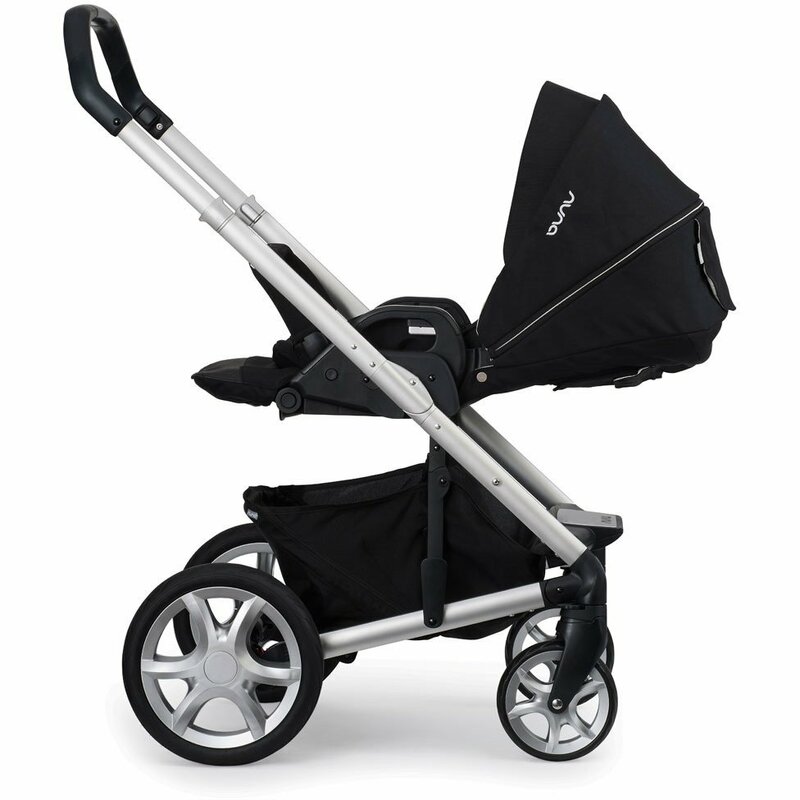 The Baby Roues Le Tour is a full-featured, luxury stroller system that comes with a lightweight, aluminum frame, toddler seat and bassinet. 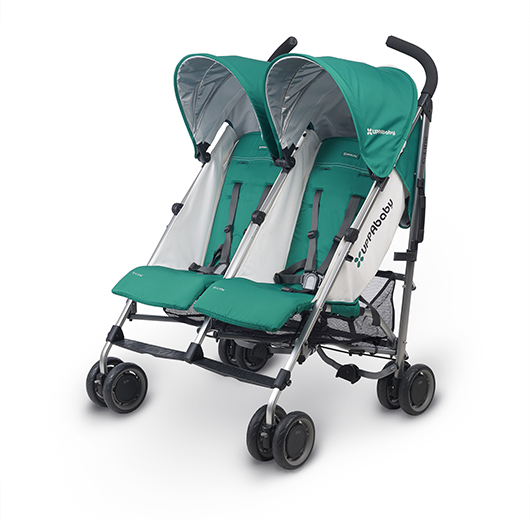 The top-end stroller comes in three varieties, ranging from $550 to $599. 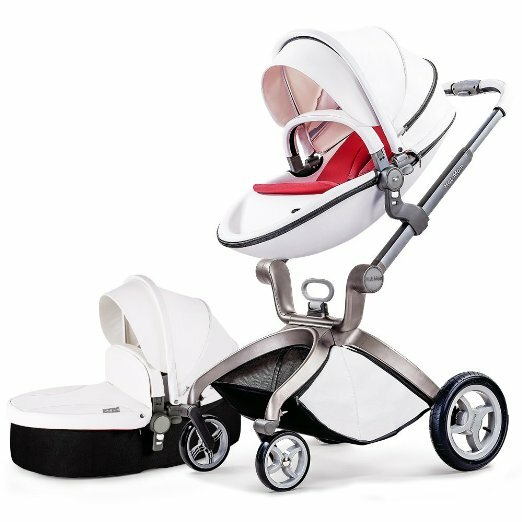 This is the perfect luxury stroller with bassinet 3-in-1 for parent who want to travel fashionably with an urban lifestyle. Emphasizing ergonomics and flexibility, and a trendsetting design that is lightweight, stable and safe, it features easy installation, one-click folding and portability for fuss-free travel.